Fish oil is, as you can guess from the name, is taken from the tissues of oily fish. It contains an essential fatty acid called omega 3 which is further divided into two important parts, eicosapentaenoic acid (EPA) and docosahexaenoic acid (DHA). As you are probably aware by now, most people are severely deficient in omega 3 in the average North American diet. To take advantage of the fish oil benefits that will be explained below, it’s important to understand that they come from having a good omega 3 to omega 6 ratio. As I explain in the intro in my previous post on some of the common side effects of fish oil (mainly when taken as supplements), it’s very important to have this ratio as close to 1:1 to 1:3 as possible (omega 3 to omega 6) instead of the standard of 1:15 to 1:17 that most people in North America have. 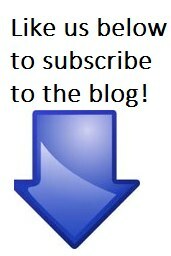 The only source of omega 3 in most North American’s diet is fish since most animals are fed grain nowadays to cut cost. The problem with animals such as beef being fed grain is that while they contain the same amounts of omega 6 as if they would be fed grass, they have very little omega 3. Grass fed beef usually contains a 1:1 ratio. Originally our ancestors were eating grass fed beef (since feeding them grain is unnatural for their diet… It was only done by the agricultural industry to cut costs). Also, many of us cook with vegetable oil which increases by a lot your omega 6 and messes up your ideal ratio even more. For this reason I completely ditched vegetable oils in the past few years except Olive oil every now and then (but not for cooking, only flavor). So now that you understand the importance you’re omega 3 to omega 6 ratio, onwards to the actual fish oil benefits you gain when you control of it! 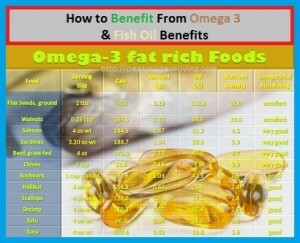 The benefits from omega 3 come from eicosapentaenoic acid (EPA) and docasahexaenoic acid (DHA). Both of these are important and it’s often debated back and forth which one is the most important… Either way, whether you get it your omega 3’s from fish or supplements, you will usually get around an almost equal amount of both. More on the exact quantities later! For now, the health benefits of having a good omega 3 ratio as taken on lef.org, head there if you want to see the studies backing up these claims. Most of these health benefits are quite well known throughout the population so they should come at no surprise! As anyone who is reading this page probably knows by now, fish oil supplements are all the rage nowadays as the benefits of omega 3 have become more and more evident in a lot of research. 10,000 years ago most human beings probably had a 1:2 or 1:3 ratio of omega 3 to omega 6 and currently this ratio has been heavily pushed towards omega 6. In a typical North American diet on average is now 1:15 to 1:17. The reason? Omega 3 consumption has gone done and omega 6 consumption has gone up thanks to the overuse of vegetable oils. The easy way (but not necessarily the best long term solution) is to take fish oil supplements, but are there side effects to these? 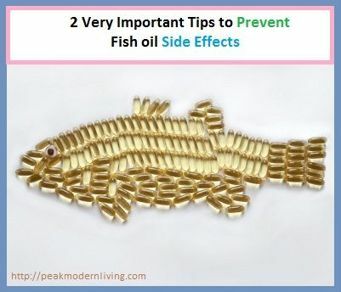 Here are a few things to consider in terms of fish oil side effects. None of these are deadly BUT you can easily avoid some of these if you take the necessary precautions, you don’t want to cancel out the health benefits of adding extra omega 3 to your diet right?